We are awlays hiring paw some pet lovers to be pet sitters, dog walkers and groomers - we also need to hire drivers- pet transport agents - all over the USA near major airports. We hire staff - not ICs- full and part time all over Houston and surrounding areas. We want to grow, and you can be a part of our success! Fill out the form below to apply for a job and we will be in touch to set up an interview asap! 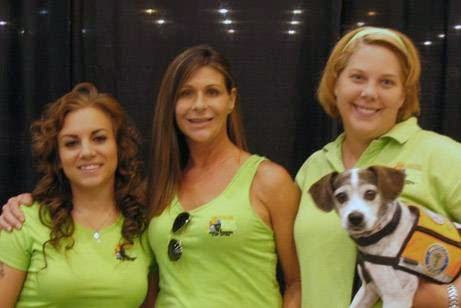 We can't wait to meet you and share our love for pets with you! ​Grooming Jobs in Houston: Grooming in the client's home the way we do is a very unique service. It's not for everyone. Angel Pets is seeking groomers who will go above and beyond to make our clients happy. This job is very rewarding if you like to work alone, do things your way, and have no boss bossing you around all day. If you are a talkative, friendly person who likes to socialize with clients this is a great job for you because our clients enjoy the very personal relationship that grooming in the home provides to them. 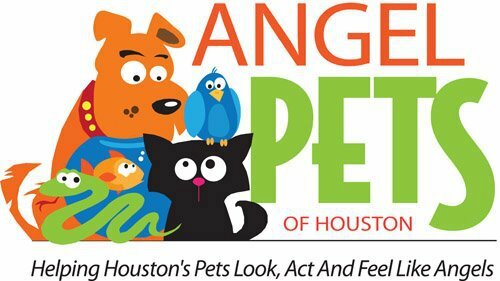 Angel Pets is seeking experienced groomers who have their own equipment and tools. Angel Pets provides useable items like shampoo and ear cleaner for you in bulk. If you have been an assistant groomer or bather for 6 months or more we might train the right person! Average pay for a groomer who can bathe and cut a regularly groomed, well behaved Shitzu in an hour is $30/hr (50% of client fee). Pet Sit and Dog Walk Jobs in Houston: We hire staff to take care of our clients furr-babies in their home when they travel or work. Make $100-400 a week part time playing with pets. You name your schedule, Work alone, and get paid to have fun! Typical pets sits occur 3 times a day, 8 am, 1 pm and 6 pm and dog walks usually repeat weekly, Mon thru Fri or some other variation such as Mon Wed Fri, and you would go each day between 11 to 2 pm. We rarely ask you to travel more than 5 miles from your home. Pay is 50% of client fee- most commonly you'll get paid $10 for a 15 minute visit to feed 2 dogs and let them out to potty or give a quick walk. You must be 100% reliable, pass a background check and have attention for details. Summer is the busy season so don't miss the action! Apply now! Pet Transport Jobs in Houston and other cities across the USA near major airports: Check out our sister company Pet Travel Agents and join our expanding team of pet taxis. Have a clean driving record, reliable transportation, pass a background check and a love for the road. We might even need you to fly somewhere for us with a puppy in your lap! At our expense of course! This is a fun job that pays great money. We pay for your drive and work time by the hour at $12-20 per hour depending on the job. You might pick up a pet at the airport and transport it to the owner in a neighboring town, or pick up a pet from a client's home in your city and deliver it to the airport and check it in for it's flight. You might be asked to take pets to the vet or groomer for a disabled client or even drive pets to another state in your car when they can not fly for health reasons. Do you want to get paid for taking road trips and traveling to see new sights? Then apply now and join our expanding team! BECOME A PART OF OUR PAW-ESOME TEAM! Tell us about your experience with pets, your own pets, volunteering you do, and paste your resume, tell us why we should hire you! Let us know if you have any questions here too.